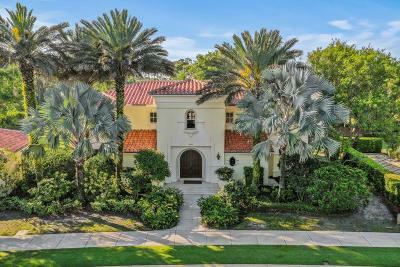 Amazing opportunity to own in Old Palm Golf Club. This 4 bedroom 4.1 bath, 6087 sf. elegant home comes with 4 delegated golf privileges. Those four delegated use privileges can accompany the 4 master suites or be delegated as owner sees fit. This very low maintenance residence is unique, special and sought after as a perfect entree into the Old Palm lifestyle without having to pay the club membership fee. 18 holes of championship golf, acres of a state of the art golf practice facility, three practice holes, fitness center, spa, endless socializing. It is a rare chance to gain access into this exclusive club. Join with your family, family friends or co workers to purchase this home and split the costs four ways. A must see.